This is a natural parcel of untreated rough pieces of green opals I purchased on my last trip to Tanzania.Production is very limited of this material. 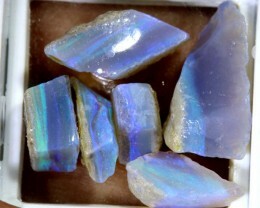 These opals have not been touched in any way. And this is how it comes out of the mines. 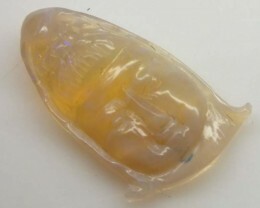 This material can be cabachoned,faceted or made into carvings. 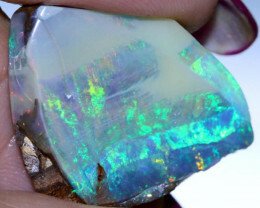 Prase opal is a nickel-bearing variety of common opal, with nickel being the chromophore that illuminates the neon bluish-green hue. Chrysoprase and prase opal can be similar in appearance but can easily by separated by varying RI and SG. 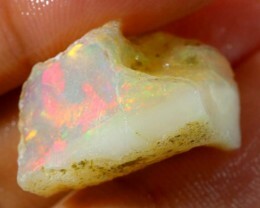 Both varieties range from low-quality opaque material to high-quality translucent jewels; however, the prase opal tends to be more translucent and gemmy. Chrysoprase and prase opal have been mined on Iyobo Mountain in central Tanzania for more than 20 years, with the first accounts being described by Gübelin in 1975. The most recent discovery revealed some of the most intense and beautiful bluish green material to be seen by the gem trade. 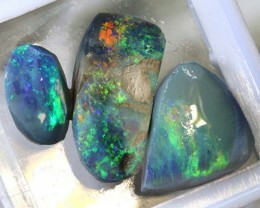 The majority of the production is in the chrysoprase form, while the prase opal is the more rare find from this deposit. Chrysoprase and prase opal both form in discontinuous veins within metamorphosed ultramafic rocks with the most dominant host rock being altered serpentine.